Over the years I have received many questions about the human growth hormone injections (Somatropin) from those who are either interested in taking the injections or else they are already taking them. Below you will find some of those questions along with my response to them. Please note: My responses below are not meant to be viewed as medical advice. 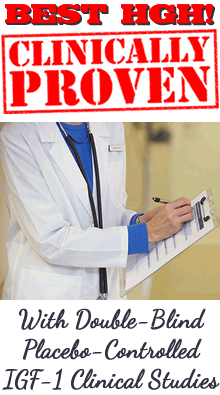 You should consult your private healthcare professional about taking any medication or health product. Question: Hi Lisa, I am 18, 5'6" and 135 lbs. I have a bunch of questions about HGH. I had leukemia when I was 8. My doctor said that all the drugs they gave me all those years ago slowed down hitting puberty and the growth spurt. They ran me through a bunch of tests when I was almost 15... hand x rays, gh levels, etc and asked when my parents hit puberty as well as their height. The doctor told me that I should eventually hit 5'10" to 6'1" but It is getting late in my long bone growth I believe as I haven't grown in 6 months. I just picked up HGH 191 100 iu with the blue caps because my doctor says I should be happy to be me, but I am too short. Anyway, I have been searching for good info and your site is really the most honest. How long should I take the hgh? How much should I take a day.. week.. skip plus times a day? How do you figure out a dose from an IU on a needle that measures CCs and or mls? How long will this stuff stay good for once I mix it? Best injection site? I read that it should be varied. Any other info would be appreciated. Answer: Thank you for the kind words regarding our site. I know that having increased height is a definite advantage in our society, when we see professional athletes making millions of dollars. No wonder young people are trying to find ways to increase their height. I think it is sad when you can get paid much more if you are tall and can play ball than if you are very smart and work in more important areas. This should change. Anyway, from what you said it sounds like you purchased HGH injections without seeing a doctor and getting a prescription from that doctor. I am afraid my response won't be what you are hoping for, I am strongly against young, healthy people such as yourself taking HGH injections because I know of the dangers. The injections are synthetic hormone replacement therapy (HRT) that is made for patients who can no longer make enough of their own HGH. If you have a normal functioning pituitary gland that provides you with a normal amount of HGH and you begin injecting yourself with HGH it can shut down your own production of growth hormone. The body does this to try to prevent damage to itself because it knows that too much HGH is dangerous. You may already know that "hormone replacement therapy" is what people take when they get older and their body can no longer make enough of their own hormones. The most well known type of synthetic HRT is that which menopausal women take to help replace their low estrogen and progesterone. Also, if you are not familiar with Andre the Giant, the French wrestler, you should read about him. He was very tall due to his body making too much growth hormone. He died in his 40's from congestive heart failure and during his latter years he was racked with skeletal pain and spent time in a wheelchair. Just looking at him shows that he had too much HGH, with large facial features and large hands and feet. Besides acromegaly, HGH injections can also cause liver damage, enlarged breasts in males, fluid retention (edema), painful joints, and carpal tunnel syndrome. Now that I have given you my opposition to young people taking HGH injections I do understand that some are going to take the injections no matter what I say to try to dissuade them. For that reason I did give some general information about injection dosages. 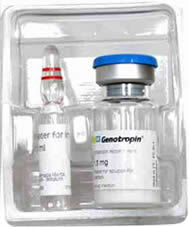 You will find that information here: HGH Injection Dosages. That is the most information I can give about dosages. By the way, the person/web site who sold you the injections, did they not tell you anything about how to take it? Of course they may not be qualified to give any such information, and selling the injections online or without a legitimate prescription is illegal so they probably don't care. Please understand that there is no one dose for everyone. You really need to see a doctor and have your IGF-1 level checked and then have your doctor prescribe the correct dosage. I know you said that you have seen your doctor so perhaps you could try another doctor, an endocrinologist. If you will not see a doctor I can only say that you should take the absolute lowest dose because the larger the dose the more risk there is for serious side effects and damage to your health. I wish you the best, and please remember, you only have one body and what you do now can affect you for the rest of your life. Is it worth the risk, especially since there is no guarantee taking the injections will increase your height? If your bones have already fused then the injections won't cause long bone growth to re-start. Question: I am 28 years old. I'm currently taking HGH. When I first started taking it I started the dose at 2 IU for the first 3 days then I upped it to 4 IU then 10 days later I upped it to 6 IU, but now I'm getting lower back pain or cramps. It's like the pain is coming from my kidneys, but I'm pretty sure its not my kidneys because I drink 3-4 liters of water every day and have done this for years. If I put the dose back to 4 IU it goes away. I wanted to take the max recommended amount of GH every day on the instructions that came with it, and that's 8 IU every day. I have1500 IU enough to last 6 months. Is this side effect that I'm experiencing normal? It doesn't last all day, it's just at night really and maybe until about 10 am then it seems to ease up. Any help? Answer: It sounds like you are treating yourself and your doctor did not prescribe the doses you have been taking? I don't know why the instructions say to take 8 IU per day but in my opinion that is too much. Anti-aging doctors typically give 4-8 IU total per week, divided into 2 doses a day, and these are patients whose HGH levels are low. You are only 28 years old, as a nurse I feel obligated to tell you that you are playing with fire, so to speak. #1. Doses of more than 2 IU per day can cause side effects and the doses you have been taking can cause serious side effects such as liver damage, arthritis, carpel tunnel syndrome, heart problems and high blood pressure. #2. 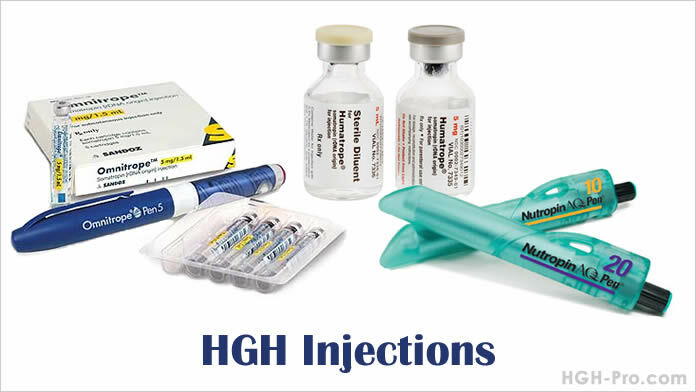 By taking HGH injections at your young age, especially in the large doses you have been taking, you may shut down your pituitary gland's own production of growth hormone and so you can become dependent on the injections, which are a full HRT (hormone replacement therapy). This means that once you stop the injections you can lose all the benefits you gained and end up in worse condition than you were before you started. Young people who are healthy should not make themselves dependent upon a hormone replacement therapy. I know you may not want to hear these things but please understand that human growth hormone injections are nothing to be treating yourself with. Besides the side effects mentioned above when taking too much HGH there is an increased risk of errant cell growth, such as cancer cells. My recommendation is for you to see a doctor who is qualified in using growth hormone so he/she can do some blood tests and also make a plan to wean you off the injections. I hope you will consider my recommendation because you may have more serious things going on than just low back pain. Follow-up question: I'm a bodybuilder. I have taken all sorts of steroids for years. I was under the impression that you don't need to run a PCT after running GH. Also I thought that my pituitary will be trying to compensate for the exogenous HGH, etc., and wouldn't shut down. Follow-up answer: As far as the injections shutting down your own release of HGH, they will, and I am not aware of any post cycle therapy that will quickly restore your pituitary gland and its hormones to its former balance. When someone who already has enough growth hormone being produced by their pituitary gland takes HGH injections their pituitary gland will decrease or stop releasing its own HGH. The body does this because it knows that too much growth hormone is not healthy. When the body needs more human growth hormone the hypothalamus releases growth hormone releasing hormone (GHRH) which tells the pituitary gland to release HGH. This process does not occur while one is taking the injections, and if it goes on too long this connection between the hypothalamus and pituitary gland can be lost. This is why the injections should not be stopped abruptly. The patient should be slowly weaned in the hopes that during this time the pituitary gland will start to release its own HGH again. This process may help to decrease the rebound effect that one may experience after stopping the injections. If you stop the injections abruptly or wean off too fast your body you can end up without enough HGH, which can cause you to lose the benefits you had gained and even more. I know the bodybuilding competition is fierce and your competitors are probably taking the injections also. It comes down to whether you think it is worth the risk. As an RN I will always recommend you take good care of your body and I consider a 28 year old injecting 8 IU per day high risk. Follow-up question: What is the best way to wean, how many IU per day? Follow-up answer: It is not my place to tell you exactly how to wean. That is for your doctor to decide. That being said, when weaning a doctor may have the patient decrease his/her dose by 1-2 IU every 1-2 weeks. A good doctor will measure the patient's IGF-1 level during this time and try to keep it within normal limits during the dose adjustments. This helps to give the body time to try to get used to releasing growth hormone again. You were just told by your doctor that you have developed type 2 diabetes. Your doctor has prescribed a diabetic pill that will help your diabetic situation by helping your pancreas to release more insulin and should help your body to better utilize the insulin and glucose. You tell your doctor that you do not want to take the diabetic pills you want to take insulin injections instead. If you have a functioning pituitary gland that can increase its own production and release of human growth hormone with some help yet you choose to take the HGH injections anyway you will be doing the same thing as you would if you chose to take insulin injections even though you didn't need them. Of course most people would rather not take and become dependent upon insulin injections if their diabetic condition can be improved with a non-injection product, so why would anyone prefer to take synthetic human growth hormone injections, which is actually a hormone replacement therapy (HRT) if it is not necessary? The diabetic medications help the body to have and better utilize a more healthy amount of its own insulin, which is better than having to take insulin injections because the body prefers the real hormones it makes over those from an outside source. I cannot imagine why anyone would prefer to take synthetic HGH injections rather than take a safe and effective product to help their pituitary gland to produce and release more of their own real human growth hormone. I think some people want to receive the benefits as quickly as possible and they think the injections are more effective. Taking a large dose of the injections can speed the changes one will see but that also includes the side effects. Also, benefits received such as increased muscle are usually lost once the injections are stopped. In fact once people are no longer taking the injections they can end up with less muscle than they had before they started. Are HGH Injections the Only Effective Therapy?